My Grandparents Lived In 2 Tanyard Cottages - a Memory of Barkingside. I used to visit my grandparents (Gran and Robert Pearce) in 2 Tanyard Cottages when I was a small boy between 1949/55. I can remember the cottage next door was owned by Mr and Mrs Lindsell and their family. I also remember that at the top of the road the trolley buses went past between Ilford and Barkingside and the main gate to Dr Barnardos home was on this junction. In the opposite direction I used to go over a bridge over the tube train line out into farmland and an airfield. I used to walk into Barkingside with the accumulator for the radio to be charged at the local hardware shop. Next door to this shop was an ice cream shop selling Dicky Birds Ice cream. I used to love the banana flavoured glo-joy lolly! We used to spend many hours on the swings at the Rec. Near the bus stop opposite Dr Barnados entrance there was a newsagents shop and they had a YZ chewing gum machine on the wall - the first I had seen! The chewing gum was 1d per packet, but every 4th one you got 2 packets! I used to run up to the shop to see where the line was on the handle hoping the next one would be 2 packets for 1d! A memory shared by Bob Newton on Nov 22nd, 2012. Send Bob Newton a message. 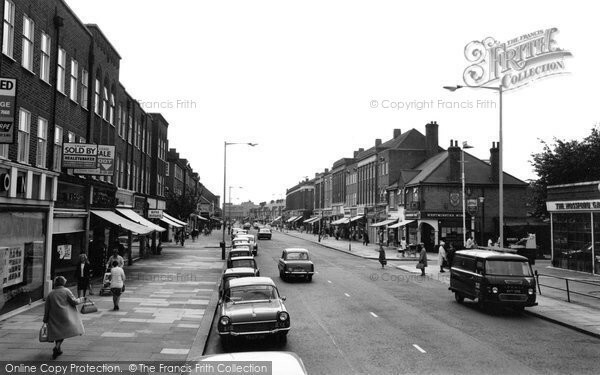 I was born in Fencepiece Road 1947 and went to Fairlop infant/junior school ,I remember Sammy the steam roller fixed in the playground and at playtime we could climb on . I remember going to visit the Lindsells in the cottage near the police station as my mother was once engaged to Bert Lindsell.My grandfather was a carpenter and had the undertakers next to the chequers at that time and also was involved building Doctor Barnardo orphanage .